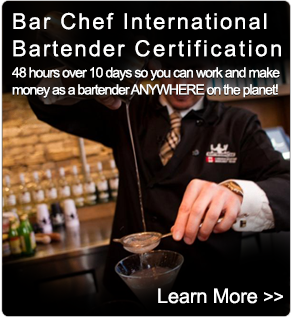 BartenderOne, Canada's fastest growing group of bartender schools has the most comprehensive list of bartending courses, programs and workshops available in the hospitality training industry. Unlike other traditional classroom style courses, your bartender training is a hands on reality based program designed by hundreds of managers who hire bartenders. The best part about your bartender training is that you learn on location in real bars and nightclubs, getting hands on experience that you just won’t find at any other bartending school. Do you want to start earning next weekend? ONE WEEK ACCELERATED CLASSES Monday to Friday, 10 a.m. – 5:30 p.m.
TWO WEEKS ACCELERATED EVENINGS Monday to Thursday, 6 p.m. – 10:30 p.m.
FIVE WEEKS EVENING CLASSES Mondays and Wednesdays or Tuesdays and Thursdays, 6 p.m. – 9:30 p.m.
FIVE WEEKS WEEKEND CLASSES Saturdays or Sundays, 10 a.m. – 5:30 p.m.
With 3 convenient ways to certify, it’s now easier than ever to learn what you need to know to get a bartending job now! Without wasting any of your time in a simulated classroom you get right behind a real working bar on Day 1 so when you start looking for work you already have hands on experience. Mixology Schools that just deliver drink recipes are only giving you a small part of what you need to know about being a bartender. Our 100% hands on, sales focussed program delivers bigger results for your wallet by spending less time on recipes and more time on practise! Which Bartending Course should I take? 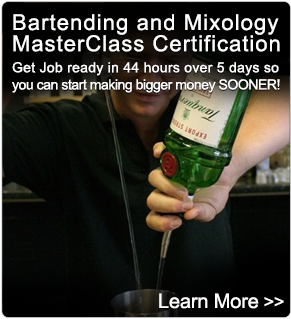 If you’re serious about getting a job, the Bartending MasterClass Certification is really your best option. This 44-hour Bartending course includes cocktails, shooters, martinis, warmers, wine,beer accuracy and speed training. It all happens behind the bar, with more than 14 hours of real-time speed training to make you faster and more confident anywhere you choose to work. All practical. No lectures. No nonsense. When you have graduated, you want to start working ASAP! 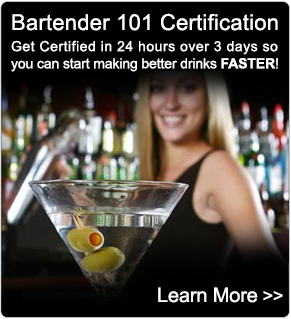 BartenderOne guarantees your results through our automated E-Grade system in hours, not weeks or months. This means that as soon as you are certified you can start working. You probably don’t want to carry a full-sized certificate around with you when you’re looking for a job, so your certification comes on a wallet sized certification card to prove your credentials to employers. Not only can you prove that you have been professionally certified, your card includes information about your free-pour accuracy and speed results to give employers a real idea of your capabilities. Will I get a bartending job when I graduate? 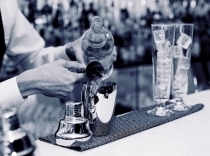 The demand for well trained and certified bartenders is higher today than ever before. This year the hospitality industry in Toronto alone had almost 4,500 clubs, pubs, lounges, restaurants, patios and bars that need over 55,000 bartenders and service staff to run them. Most of these places replace up to 60% of their staff with new employees annually which means over 33,000 new bartending jobs and serving positions each year! 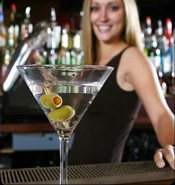 BartenderOne facilitates exclusive staffing for many of these establishments and offers guaranteed job placements for top graduates. As a graduate you also receive a lifetime membership to the iPour bartender job network, which notifies our graduates each week with new job opportunities by email. Our instructors are hand picked industry leaders who are shaping and creating the cocktail trends of today and tomorrow. They go through no less than 132 hours of BartenderOne Instructor training before they ever teach a class! In fact, 3 of our instructors are national columnists for the Food Service News, The Canadian Restaurant Association and contribute regularly to Bar & Beverage Business Magazine and Liquor Canada Magazine. 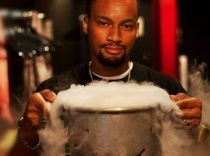 Many of our instructors compete at bartending competitions both nationally and internationally. All BartenderOne instructors actively bartend, and frequently attend the latest international bartender training seminars which keeps them up to date with new products, methods and trends. What that really means to you is that you get the bartending job you want, and you can pay for the cost of your program in days, not weeks or months. Due to increased number of students from Europe, Asia, Africa, Australia and South America, BartenderOne has partnered with Hostelling International Toronto located next door to BartenderOne Toronto training facilities. Rooms are subject to availability and must be booked in advance. If you have ever wanted to be able to mix drinks like the professionals, this introductory bartending licence will teach you to make the most popular and current cocktails, martinis, and shooters requested in bars today. 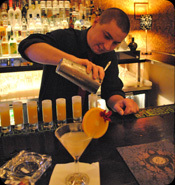 You train with an industry leading Mixologist, in an actual working bar with the professional tools and equipment. With unique tasting experiences, you will have firsthand knowledge of the preparation, appearance and taste of today’s top beverages. 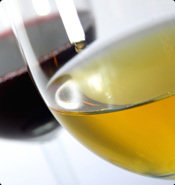 Also included in this program are Red wines, White wines, Champagne and Beer Training. 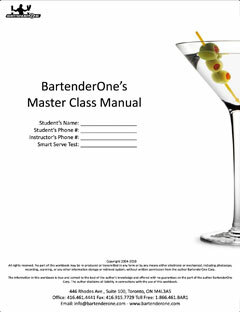 This training is exclusive to BartenderOne, and is not offered by any other Bartending School. Upon graduation you will have the knowledge and confidence necessary to make great drinks! Suitable for: Those who wish to gain employment in low-medium volume bars such as Hotels, Banquet Halls, Golf Courses, or for Bartending Enthusiasts. 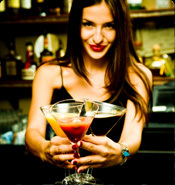 The Bartending and Mixology MasterClass is the MUST HAVE bartending licence according to industry standards! This 100% hands-on program gives you the confidence and ability to make great money, by putting YOU behind a bar with one of Canada's Top Ranked and Most Successful Bartenders leading the class. No time is wasted memorizing recipes you'll never make, you learn your drinks by handling the brands and cocktails that are most requested in bars today. If you're serious about getting a job in the bartending industry, this is the most complete bartender training program available. The MasterClass is designed for those who wish to gain employment in the bar industry including: NightClubs, Restaurants, Bars,Lounges, SupperClubs, Hotels and Cruise ships in Canada or internationally. Pre-Requisites: Bartending & Mixology MasterClass or 2 years experience as a working bartender. If you have ever thought about traveling as a bartender, making money while working overseas, meeting new people from foreign countries and bartending around the globe, the International Molecular Mixology Certification is your ticket. 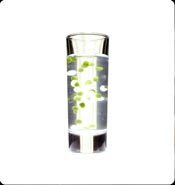 Designed by Internationally Acclaimed Mixologists who have traveled and worked as mixologists in 59 countries on 5 continents. This world class training package includes Molecular Mixology, and MasterClasses on Vodka, Rum, Gin, Whiskey, Tequila, Brandy and Cognac and much more. Suitable for: those who wish to travel, work abroad and gain employment in the bar industry including: NightClubs, Restaurants, Sports Bars, Pubs, Lounges, Speakeasy’s, SupperClubs, Martini Bars, Hotels and Cruise ships in Canada or internationally. Guaranteed jobs for top graduates of this program. Have you ever wanted to treat your friends to a great cocktail at your house party? Or, are you up for a job where you can GET PAID TO PARTY? Then, this is for YOU! This introductory workshop will give you a taste of what mixing drinks is all about. You will learn from some of the Top Bartenders in the Canadian Mixology and nightlife scene... the secrets of how to make a great cocktail for friends, or shake and stir your way to into a fantastic new line of work! Materials Included: Cocktail Recipes, Training, and Preparation 5 hand crafted beverages, based on each major spirit category. 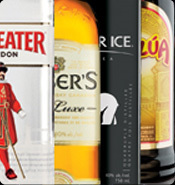 One of the most common questions asked of a bartender is "What do you Recommend"? This seminar will show you how to create custom cocktails in each of the five main spirit categories: Vodka, Rum, Gin, Whiskey and Tequila. Each cocktail is guaranteed to satisfy your guests' unique taste and preferences. This is the science of mixology. Practicing behind a real bar, you will be creating the most asked for drinks with focus on efficient and accurate service. You are already on your way to mastering the hottest cocktails of today and tomorrow. Suitable for: Bartenders, Baristas, Coffee Enthusiasts. 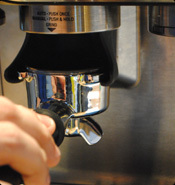 Have you ever wished you could create gourmet coffee beverages like the Barista do at Starbucks and Second Cup? This hands on tasting workshop will teach you the secrets to pulling the perfect shot of Espresso and techniques to help you create mouth watering micro-foam. Pour perfect Lattes, Cappuccinos, Macchiatos, Americanos, as well as learning dozens of recipes for European coffee delicacies. In a nation of beer drinkers, it's amazing that so few people really know how to serve beer properly. 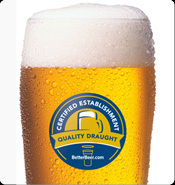 BartenderOne provides the ultimate in Craft Beer sampling and training with the Beer 101 Workshop. In one convenient 3 hour session, you will learn the differences between lagers and ales and which beers go best with certain foods so you can give your guests the best service! In this fun and completely hands on seminar, you will make and taste Cosmopolitans, Manhattans, French Martinis, Dirty Martinis, Chocolate Martinis, Lychee Martinis, Bikini Martinis and many more! Seminar includes proper Martini preparation techniques, serving etiquette and tasting. Group rates are available for this seminar as part a host of BartenderOne's teambuilding programs. In this workshop you will learn the most important keys to wine selection, service and storage , and 5 ways to avoid embarrassment while serving wine. This program begins with a brief overview of the wine making process and you will learn about the differences between grape varietals, whites and reds as well blush or rosés and sparkling wine or Champagne. Also included is the Nez du Vin, (Nose of Wine) and you`ll learn to pick up more than 12 distinct aromas commonly missed in wines. Learn how to pour wine without spilling the last drop, the proper techniques for sampling and drinking wine, and learn what wines to recommend when eating certain foods. This certification equips you with the information to serve confidently and speak intelligently about all types of wine. Suitable for: New Bartenders, Working Bartenders. If you want to serve drinks with style and confidence, Dare to Flair will teach you over 25 proven money making techniques! This workshop and will help you build skills fast! 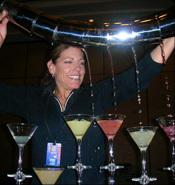 Flair Bartending is the way to go from making good money to great money! From practical working flair techniques that you can execute with no special set up, to show stopping tricks, this is the way to learn flair! 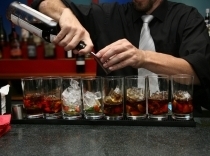 Now that you are a fully trained and certified Bartender, its time to prepare for your first interview. Learn techniques that will set you apart from the rest of the bartenders who are applying for the same job!!! This workshop is taught by hiring managers who have interviewed and hired thousands of bartenders and includes a HIGH IMPACT CUSTOM RESUME that will get peoples attention! After all, your RESUME gets you the INTERVIEW, the interview gets you the JOB! Have you ever set goals for yourself? Everyone does it at New Year, but when those goals fail, most people move through life with little focus, they tend to wander, and wonder what to do next! This goal setting workshop will give you lazer focus on what is really important to YOU in the coming year and will help you to prioritize things that are important to you for the next 3 years, 5 years, 10 years and even 20 years down the road!!! Materials Included: Wine Council of Ontario Manual, Test and Certification. THE WINE COUNCIL CERTIFICATION IS A HOME STUDY PROGRAM. TESTING DATES WILL BE CONFIRMED AT YOUR CONVENIENCE WHEN YOU HAVE COMPLETED THE PROGRAM. 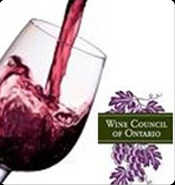 The Wine Council of Ontario Certification is a home study program that offers students in depth knowledge of vineyards, VQA regions, from cellars to glass with food pairings, and much more. This certification equips you with the information to serve confidently and speak intelligently about all types of wine.